There Are Moments In Our Lives when we realize we need to do something differently than we ever have before. You may have suffered an injury, illness, setback, or change of direction. You may have set new goals: running a marathon, beating cancer, or you simply want to feel more vital like you used to! 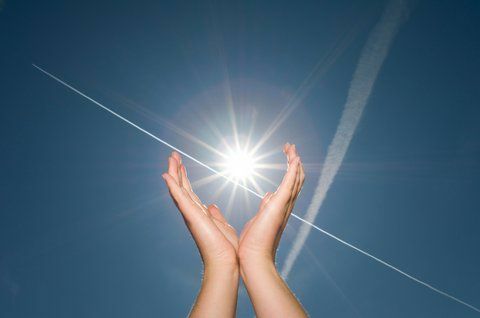 A massage at Hands Of Light increases circulation, strengthens your immune system, and releases tension. It loosens your muscles to help prevent injury and improve performance and relaxes your nervous system, helping you relieve stress while promoting healing. Massage unlocks old muscle patterns that cause pain and stiffness. We work with clients in the heart of our beloved little Village of Siesta Key, where our fabulous and relaxed tropical environment and atmosphere helps to create deep, effective results! We have been proudly serving Siesta Key and Sarasota for almost 25 years! You will be absolutely delighted by our quaint and charming Tropical Island Retreat (almost as much as we love being here ourselves!) You are merelya flip-flop step away from the finest, whitest sand in the World! Perhaps you have been pixie-dusted by our 99.9% pure, white quartz sand from the No. #1 Beach in the USA? No worries! We offer a private, optional shower before or after your bodywork session! Parking can be a challenge on Siesta Key. We are fortunate! We have ample, private, on-site parking for you! So call or email now for appointments! You'll be SO glad you did! You're on Siesta Time now!